Connie Nielsen’s Queen Hippolyta and Jesse Eisenberg’s Lex Luthor will make appearances in “Justice League,” TheWrap has learned. According to Warner Bros.’ 2017 movie press kit, the studio has confirmed that Nielsen and Eisenberg will be in the upcoming DC Comics movie. The kit states that Eisenberg will have a featured role in “Justice League,” which means that Lex Luthor will make another appearance. The kit also announced that Queen Hippolyta will be in the film, with Connie Nielson reprising the role from the upcoming “Wonder Woman” stand-alone film. While Queen Hippolyta hasn’t been seen in a DC film yet, audiences will get their first taste in next June’s “Wonder Woman.” Queen Hippolyta is the mother of Gal Gadot’s Diana Prince/Wonder Woman and is the ruler of the land of Themyscira. Earlier set visit reports suggest that one of the three motherboxes — the macguffins of “Justice League” — sought by the villain Steppenwolf, is possessed by the Amazons on Themyscira. 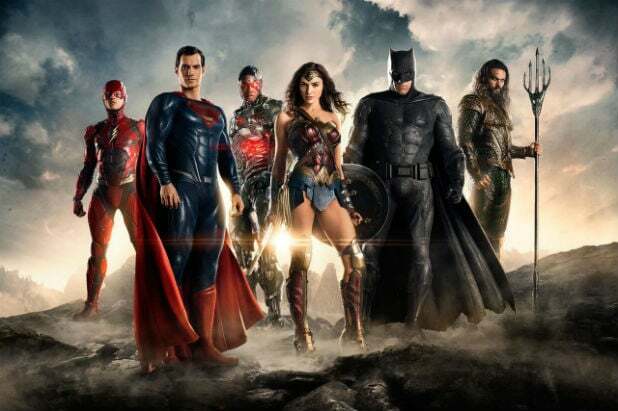 Zack Snyder is directing “Justice League,” which unites superheroes Batman (Ben Affleck), Superman (Henry Cavill), Wonder Woman, Aquaman (Jason Momoa), The Flash (Ezra Miller) and Cyborg (Ray Fisher). Charles Roven and Deborah Snyder are producing the film, which was written by Chris Terrio, who wrote Affleck’s 2012 film “Argo,” winner of the Oscar for Best Picture. “Justice League” hits theaters Nov. 17 of next year.